Yes. We have a lot, and I love that it is there (including the pieces which are not to my personal taste). Unfortunately, we don't have much around here. I LIKE a lot....not lie! The talent amazes me. You have a great day too, Val. 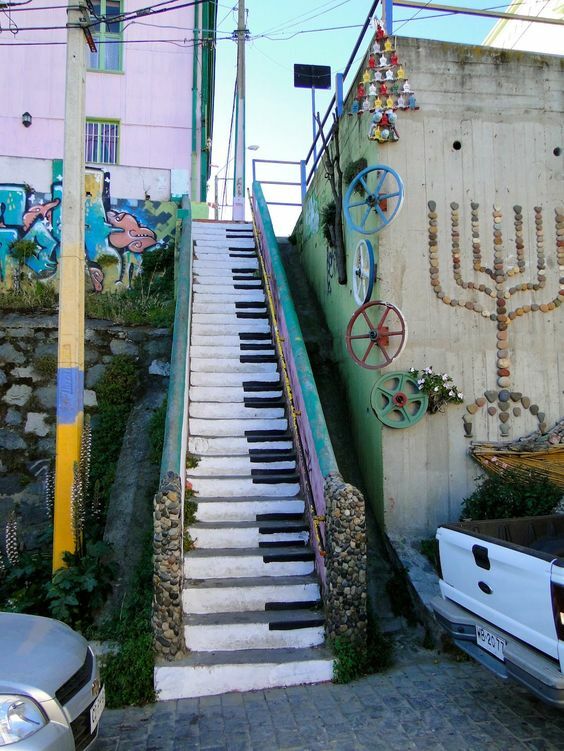 I like them all, but the piano key stairs work really well for me. That's a good one, Andrew. I also like stairs that are painted to look like books or bookshelves. The artist did a wonderful job on that one, didn't he/she, Alex? 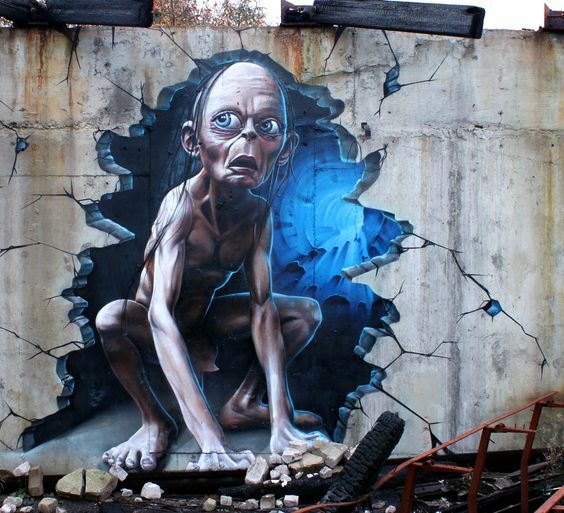 I've seen some great street art which is unbelievable. I always pay attention when I'm out and about. The imagination is a wonderful thing, isn't it? Maybe I haven't been in the right cities, but I just haven't noticed that much street art in the South. Maybe Asheville? Sure some skill to do those indeed. Always fun to see such art. I love the great white. I think they are beautiful animals. They are very sleek and powerful, that's for sure. Great ones. I love the piano keys on the stairs. These are great! 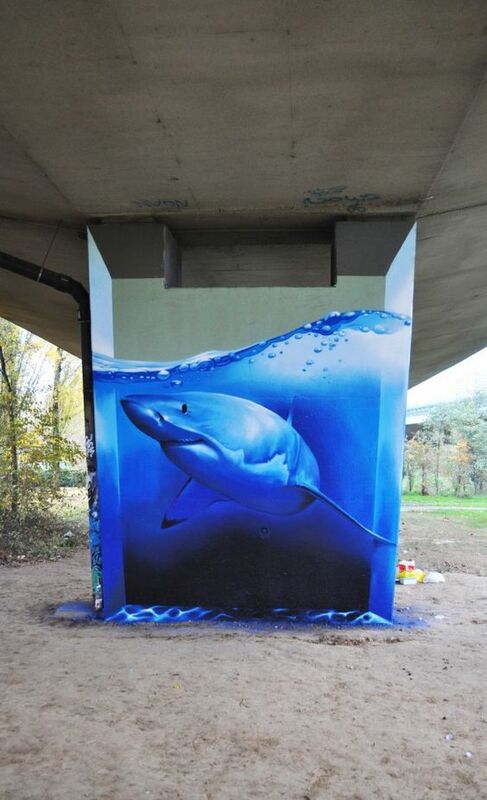 Yes, I love street art because it shows how artistic so many people are. I love each one for t(Wine uniqueness. The person who saw those leaves on the fence and decided to create a Mother Earth woman and the shark jump out at me. The cute one is the last one...funny. Those are good. Several like the shark. I think my favorite is the Mother Earth woman. Great art! Wish I could do that! I wish I could too, Sharon. I do! Terry and I spent a day in Bristol (England) last year just to photograph the street art, I must look those photos out. Oh that sounds like fun, Barbara! OMG, all that is SO cool. I need to get out more and see if I can find that around my city. I'd be interested in learning if there is street art in your area, Steph. They have been painting the sides of buildings and parking garages around here. There is one of a couple of blue jays that I absolutely enjoy seeing when driving down the exit ramp. Oh, that's fun. I think I'd love the blue jays too. Ok. These are freaking amazing. I really love that Piano one. Shark is great too. Freaking amazing pretty much sums them up, Robert. I want those stair steps. If I had oodles of time and the inclination I would paint the basement steps like that. Very cool! I think you should do it, Jeanie! 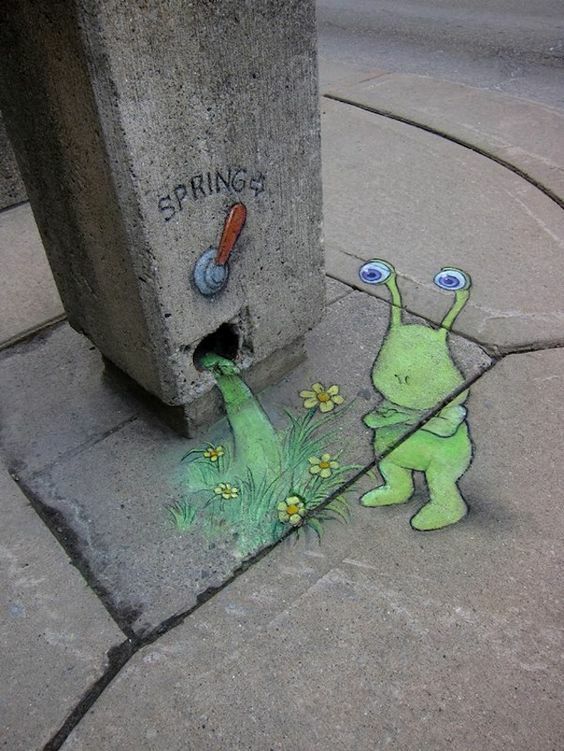 Yes, I love street art. Several years ago I visited my daughter in Francisco. We were walking to City Lights Bookstore when she said, OH MY GOD! LOOK UP! It was a Banksy. We stood on the street corner and stared at it, not wanting to move. We were thrilled. You just broadened my horizons, Janie. I had to look up Banksy. That's amazing you saw one in SF. You and me both, FSG. I like them all but those piano key stairs are just brilliant. 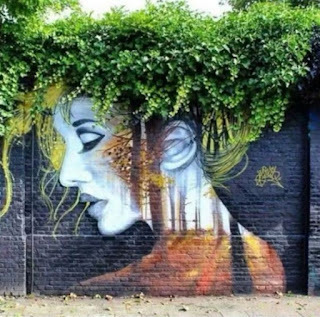 Great street art shown Sandra. Loved it. Wow, these are so amazing!!! Imagine the time that went into creating such beautiful pieces!!! These are breath taking!! Love! Big Hugs Sandra!